BlackBerry fanatics would have to wait until October for the release of the BlackBerry Curve 9350, in contrast with the earlier announcement that it’ll reach the market tomorrow. The phone will not arrive on time due to “unexpected circumstances” and will probably hit the stalls (via Sprint) on the 8th of October for $80 (2-year contract) and $50 (mail-in rebate). 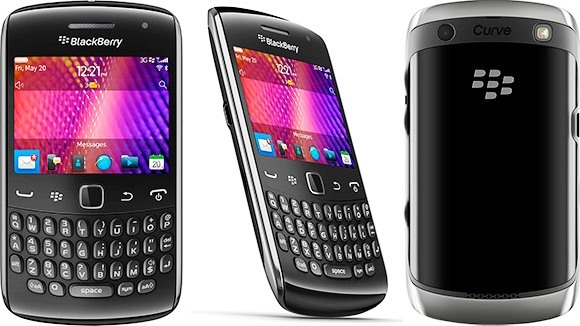 BlackBerry Curve 9350 hits up the BlackBerry 7 OS with 11mm (0.43 inch)-thin case. This features an 800MHz CPU, 512MB RAM and 2.44-inch HVGA. Resolution is good with 480x360 pixel display and is suitable for its 5-megapixel EDoF camera (with flash and VGA video recording). Bluetooth and Wifi b/g/n (UMA, GPS/ aGPS and NFC) are the hook-ups for connectivity. And it offers 512 MB built in memory which keeps the whole phone storing up data along with the 1000 mAh battery life. Ofcourse, BBM promises everything you need. Aside from it being the most ergonomical phone in the market, it also promises as faster phone speed with its BlackBerry OS 7 (as mentioned earlier). Along with the Curve 9350, other similar models such as 9360 and 9370 will be released this year. All phones will sport a wide range of powerful hardware enhancements including upgraded processors, displays and memory, and built-in support for NFC (Near Field Communications), a new technology that is enabling many exciting capabilities, including the ability to pair accessories or read SmartPoster tags with a simple tap of the smartphone. I’m not really a BBM fan, but this one looks like a point to reckon with. Can’t wait for it to hit the country.